On September 21, 2011 I learned that my favorite band of all-time was “calling it a day.” Since that sad day, the band hasn’t said much about the break up other than it was done with all members in agreement, and they would never reunite. In a recent interview with Rolling Stone, R.E.M. 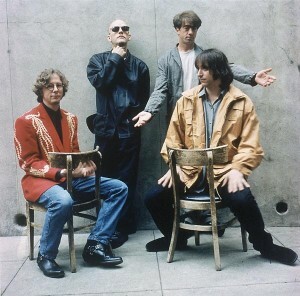 guitarist Peter Buck discusses the band’s decision to break up, his opinion of the current music industry, as well as a few other juicy nuggets. As opposed to me wasting my time regurgitating the article, read it for yourself right here. 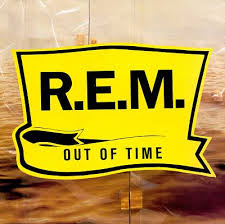 Meanwhile, the band’s seventh and most commercially successful album Out Of Time is turning 25 years old this week. It’s not hard to believe that this was the album that made R.E.M. a household name. In 1991, any alternative band could’ve released anything and it be well-received in the mainstream. Hell, they could’ve released an album that included a mandolin, organ, acoustic guitar, and Kate Pierson of the B52′s singing back up vocals, and it would’ve won a Grammy award. Wait, that’s exactly what they did.